Ready for another news roundup? Here’s what caught our eye as we scoured the headlines. Topics range from distribution and digital innovation to natural disasters and vehicle tech. These are the transformative influences shaping the future of insurance. Agents and brokers – are they obsolete? Are agents and brokers a dinosaur? Not so fast. While some pundits are saying that “buyers should all be online and the agency system should be dead by now” according to Insurance Journal, some major players – from Google to the Hartford – are betting on agents. Technological knows no geographic boundaries – innovation can happen anywhere – however, certain cities and regions are known for their achievements in certain areas. It’s a pattern that insurtech firms can take advantage of: according to Best’s Review, there’s a case to be made for founding your firm in the city with the tech that you need most. The insurance giant Chubb isn’t sitting still. Earlier this year, Carrier Management reported that the firm is “making substantial investments in digital technologies including cloud, mobile, APIs, security, chatbots, analytics and data.” Insurtechs, take note – Chubb now has a digital marketplace that’s serving 1,000 agents a day. 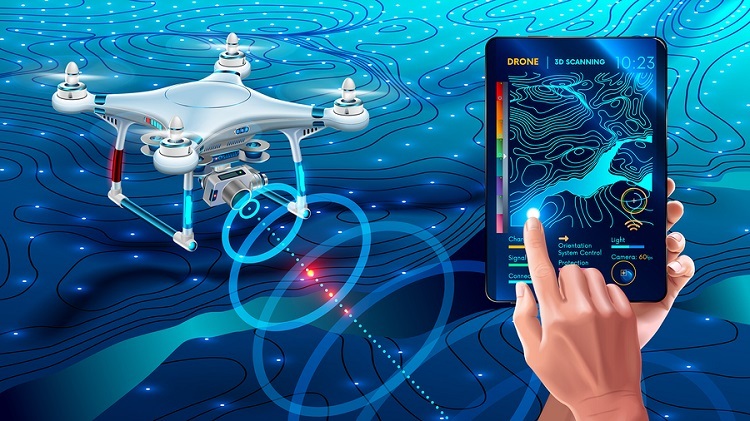 According to Property Casualty 360, new regulatory proposals from the FAA are about to make commercial drones easier and safer to use. This is good news for P&C insurers, which are the drones’ predominant users, and are predicted to remain so through the next 20 years. After a long era with little change, the onus is on home insurers to shake things up. Emerging technologies such as geotagging, new datasets on weather and neighborhood safety, personalization, smart home devices, and more have the potential to change static assumptions and revolutionize how home insurance is delivered, according to Property Casualty 360. In related news, Property Casualty 360 noted the rise in insurers that are now using chatbots – as well as the obstacles that come with them. The challenges include unifying the customer journey, integrating with policy administration systems, and workflow optimization. Changing weather patterns have increased the risk of flooding in many areas of the country. Against that landscape, home and flood insurers – e.g. Neptune Flood and Hippo Insurance – are working together to develop new solutions, the Insurance Journal reports. With floods and fires affecting vast regions of the country, insurers (including insurtech firms) have an imperative to collaborate to address the human impacts within their purview. Last month, Property Casualty 360 offered practical advice on how to better care for those we serve. Consumer demand for vehicle tech is growing, Edmunds reports. That demand doubled the adoption of automated driving features in 2016, and it will continue to drive the development of self-driving cars over the next years. Are you ready to take on the future? Silvervine can help you prepare for your next chapter with cutting edge policy administration systems, payment processing and print/mail fulfillment services. Request a demo today.